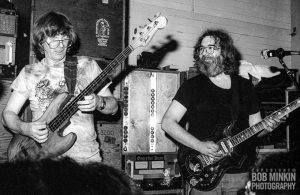 Includes an original signed and numbered 8.5” x 11” photograph of Jerry Garcia and Phil Lesh (pictured below). This print is exclusive to the COLLECTOR’S EDITION, and will not be available again in this format. THE MUSIC NEVER STOPPED — a one-of-a-kind 208 page coffee table book of music photography — features over 500 never-before-seen images, including performance shots, intimate backstage, off-stage and at home photographs of our favorite players, including Jerry Garcia, Bob Weir, Phil Lesh, and close to 100 musicians/bands are featured! 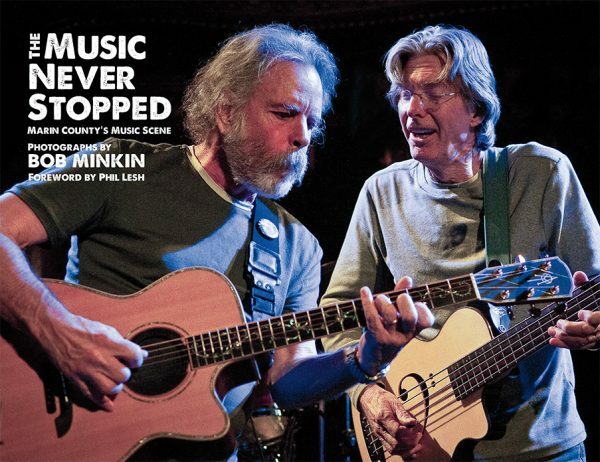 Plus reminiscences and stories by Jorma Kaukonen, Steve Kimock, Bill Kreutzmann, Donna Jean Godchaux and many more. This photograph of Jerry Garcia and Phil Lesh will be included in the COLLECTOR’S EDITION book (limited edition of 150). 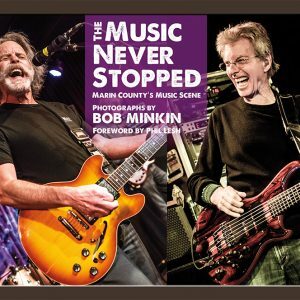 Personally signed and numbered by Bob Minkin.